Many receive advice, only the wise profit from it – Harper Lee —- One of the traits that almost all successful entrepreneurs share is that they act on great advice. 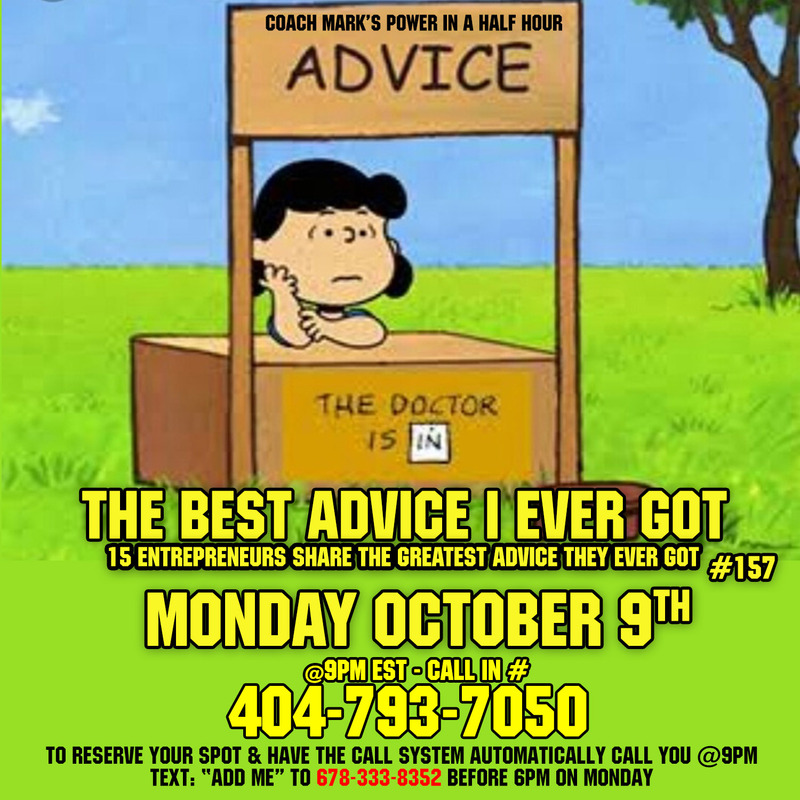 This week we go over the greatest advice that 15 successful entrepreneurs received. Lets see what they learned that can help us as well. — Don’t miss this week. This was great Coach Mark. The most helpful advice that I could use and implement came from Kevin Harrington and Bret Lockett. I’ve written them down and read them several times / day to remind myself of what I should be doing. No need to apologise, I know you are a very busy man, thanks for taking time to respond and thank you for these podcasts.